Are you in the Taxi Cab or delivery business? Small or large fleet? Do you need to spice up your fleet cars or cabs? 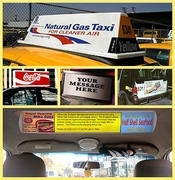 Look no further for all of your taxi cab or delivery cars needs. 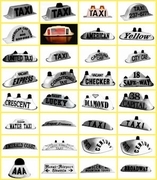 Over 140 Taxi lights to choose from with all different shapes, sizes, and colors lettered custom for you. We also have the best delivery and add carrier signs in the business. The most top of the line Taxi rate meters in the world, lettering packages, and we even have magnetic door signs for your business's. 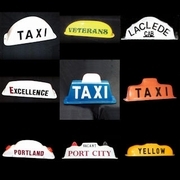 On this web site you will see for yourself the most cutting edge taxi and fleet car accessories in the business. Call the number on the web site for any orders or questions you may have. Andy knows what it takes to operate a fleet of cars. See www.andystaxigroup.com for proof of that. Andy uses his awareness of fleet operations challenges to drive his service oriented business. Whether you run a fleet of taxi cabs, shuttles, tour buses, delivery vans, city or government automobiles or security vehicles; ATLA has the accessories you need to equip your fleet. 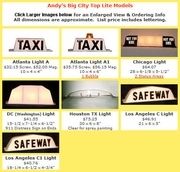 Top lights; taximeters and replacement parts for taxi meters; door, panel and trunk signs; dashboard mounted or visor clip permit frames and replacement bulbs for our lighted signage. PLEASE PAY CLOSE ATTENTION TO DELIVERY TIMES WHEN PLACING YOUR ORDER. MOST ORDERS WILL REQUIRE AT LEAST TWO WEEKS FOR DELIVERY. Because of the highly specialized nature of our products, we do not take orders online. The pages and pictures on this site are for your reference only. To order please call. The phone and fax numbers are at the bottom of each page on this site. 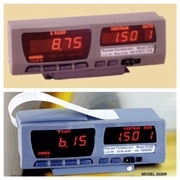 Centrodyne�s newest slim line taximeter, "S700", features a 6 P/B interface, even more vivid display, day/night adjustable intensity, all on a single PCB, packaged in a sleek designer�s case. Interfaces to a dispatch system via its RS232 serial port Easy installation, comes with a pulse divider. Uses large, bright, easy to read LED displays for easy viewing. Our ad carrier signs let you identify your cars and use the saleable advertising space to MAKE MONEY! Lighted Roof Signs get your message out there so that your logo becomes familiar, and at the same time, they make your delivery vehicles look sharp. 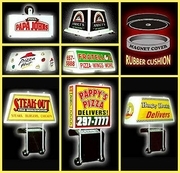 We can provide you a perfect lighted sign for pizza delivery vehicles, florists vans, party favor cars, catering services, couriers, auto parts trucks, medical supply services, any delivery task. 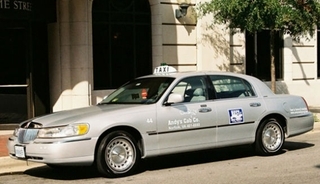 Our custom designed signs will make your delivery vehicles look distinctive and professional. Lighted signs even make a vehicle more visible, increasing nighttime safety for your drivers. Major City Taxi Lites. These lights are available everywhere, but are standard in the listed city. Accessories you need for commercial vehicles. Car Lettering for the trunk, doors, side panels, etc. ID Caddies to display required permits within the vehicle's cabin.